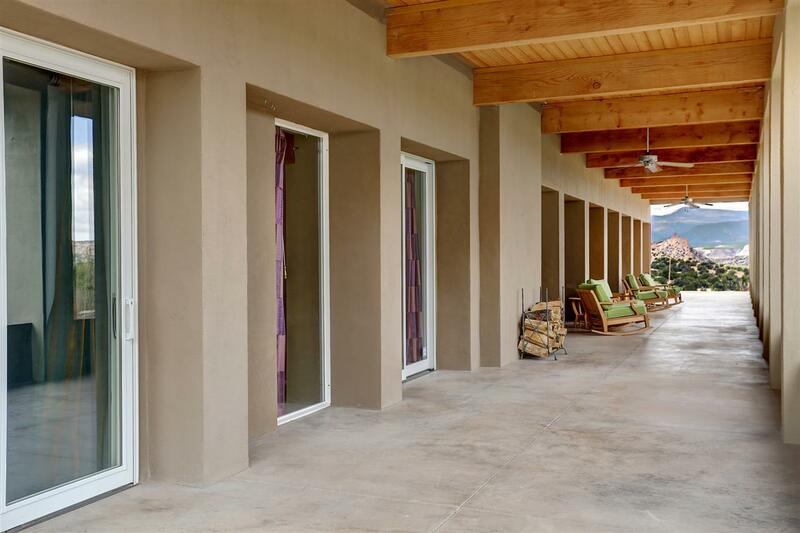 Located in the community of Rancho de San Juan just south of Ojo Caliente Mineral Springs & Spa, this home offers cool contemporary living with amazing northern NM views! From the moment you arrive at the home you are drawn to the symmetry of the 1,200 square foot western facing portal that provides endless sunset viewing each night. 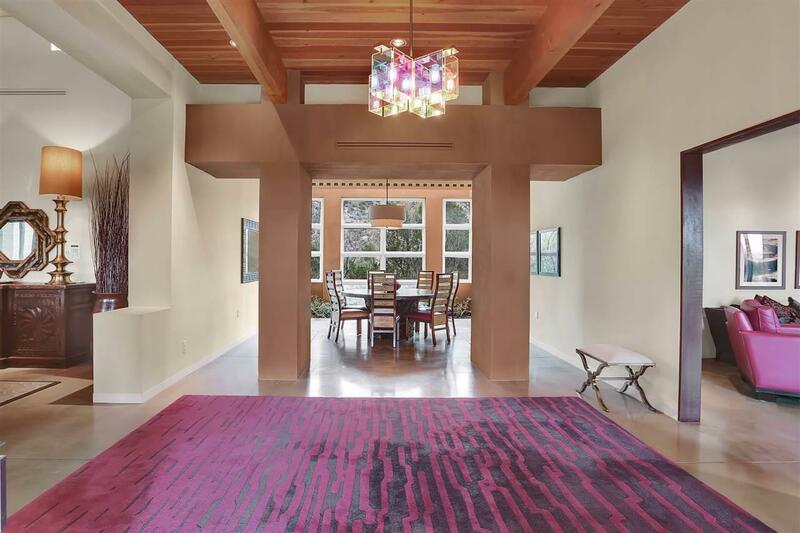 This two bedroom home is both spacious and grand with 18' ceilings in the living room with a magnificent granite fireplace and custom lighting. The kitchen is professionally appointed with a subzero refrigerator, professional range and double oven. 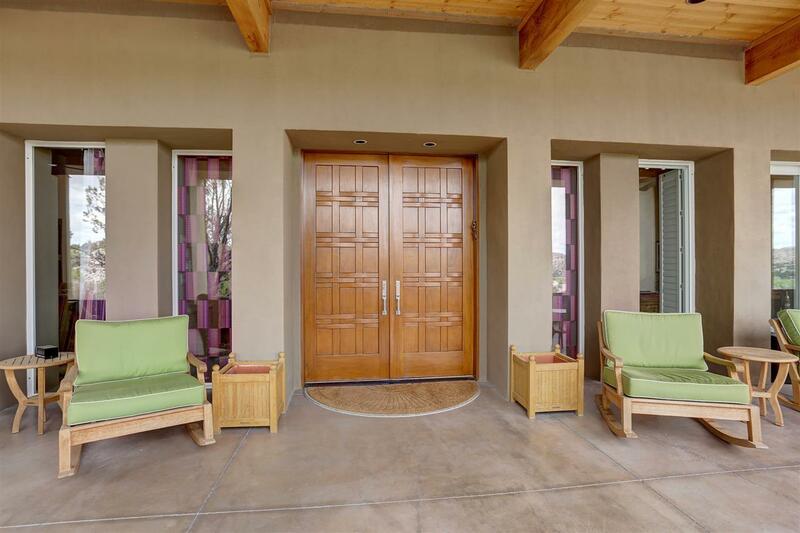 The master suite is located on the far north end of the home and has wonderful natural light, double walk-in closets and a very luxurious bathroom with an oversized soaking looking out to the sandstone cliffs and black mesa. Extras include a double carport, 231 sq ft studio, outdoor living space and storage room all on 15 acres! Additional information and photos available upon request.